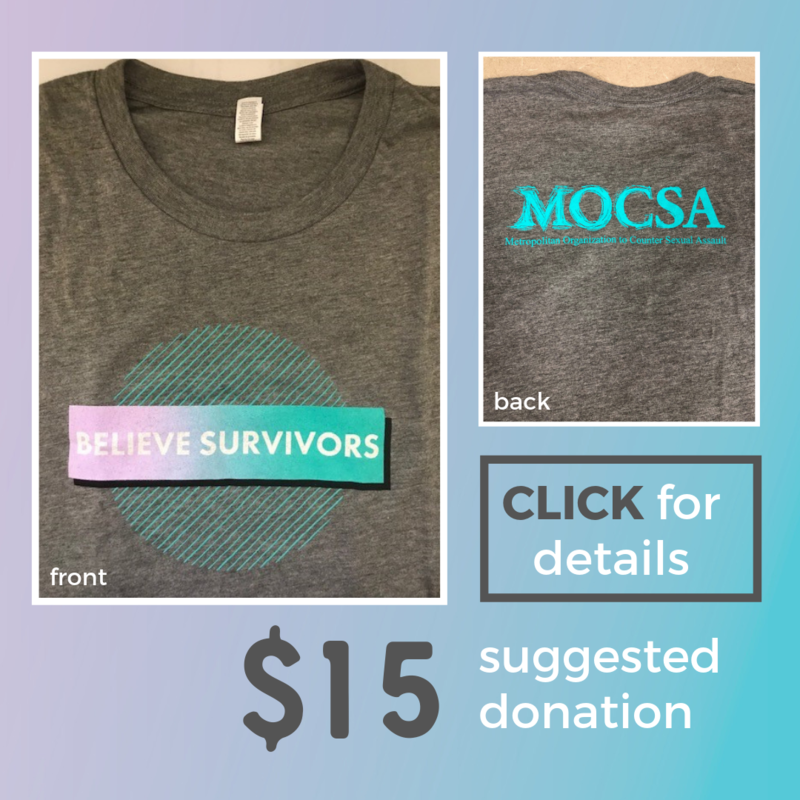 April 2 - SAAM National Day of Action - MOCSA staff will be delivering gratitude gifts to community partners who support and believe survivors. April 3 - Start by Believing Day. Press conference and proclamation signing at Metropolitan Chiefs and Sherrifs Association meeting. April 3 - Julie Donelon (President & CEO) attending Sexual Assault Awareness Month Policy Briefing in Washington DC. Hosted by RALIANCE. April 4 - Pints for a Cause at Bier Station. April 8 - Victoria Pickering (Director of Advocacy) on KSHB Kansas City Live. April 19 - Kristin Mills-Trowbridge (Counseling Coordinator) on KCUR's Up to Date. RAYGUN, a Midwest-based screen-printing company, designed and screen printed with the message “I will. 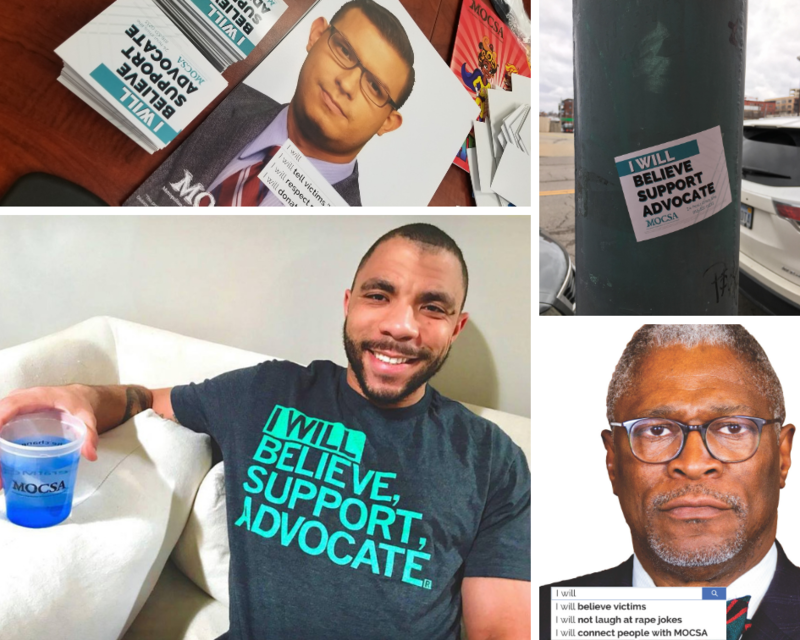 Believe, Support, Advocate.” We also partnered with them to host a release party during a busy spring First Friday event in the heart of Kansas City. 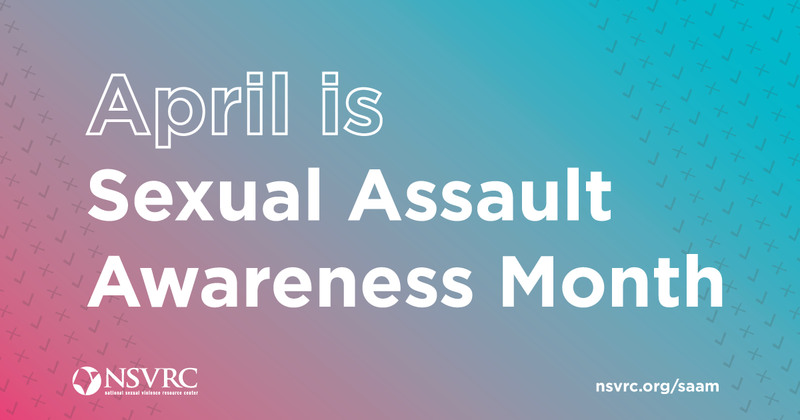 In honor of Sexual Assault Awareness Month and proactive prevention, MOCSA rolled out a new intervention program with bars and restaurants. 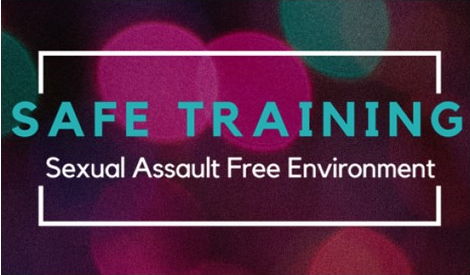 The program focuses on training bar and restaurant staff to recognize potentially harmful situations and give them the tools to intervene effectively to prevent sexual violence and support survivors.